You are here: Home » Blog » Tips for Rip/Copy Blu-ray » to Android » How to Rip/Sync Blu-ray Movies to 1080p MP4 for Samsung Galaxy Note 3? And this Galaxy Note 3 is also a great media player which supports a lot of media formats including files with DivX, XviD, MP4, H.263, H.264, WMV as video format and MP3, eAAC+, WMA, WAV, FLAC as audio format. Now if you have already had lots of Blu-ray or DVD movies, you can rip or convert your Blu-ray or DVD collections to store on Samsung Galaxy Note 3, then you can take it everywhere for playing. UFUSoft Blu-Ray Ripper is current the best Blu-ray to Galaxy Note 3 Converter that can help you to decrypt/convert all commercial Blu-Ray/DVD movies to Galaxy Note 3 MP4 without losing quality and A/V out of sync. And you can hard burn Blu-ray/DVD’s subtitles to Samsung Galaxy Note 3 video for permanent enjoyment. Step-by-step guide: How to rip or convert Blu-Ray movie to Samsung Galaxy Note 3. Step 1. Load Blu-ray movie to the Blu-ray to Galaxy Note 3 Converter. In the program, select output format from Profile drop down list. Since Galaxy Note 3 is also using android os, and features the same display resolution 1920 x 1080 pixels as droid x, so just choose HD Video or General Video > H.264 MP4 Video (*.mp4) as output format. Step 3. 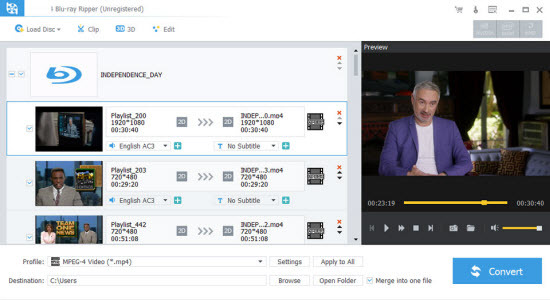 Select subtitle and audio language for Galaxy Note 3 H.264 MP4 videos. Click the Subtitle option and you choose the prefer language you want from the drop-down list. The Blu-ray to Galaxy Note 3 converter will hard burn the selected subtitle to Galaxy Note 3 video, so that you can enjoy movies with hard-burned subtitles. Then click Audio to select the language like English, French to hear. Finally, click “Convert” in the File menu to start. After a successful conversion, you can put the converted Blu-ray movie to Galaxy Note 3 for enjoying now.